If you need a representative in Bangkok to represent your interests to your business partners, you can count of me to do the job. I offer professional translation services in Bangkok at an affordable price. 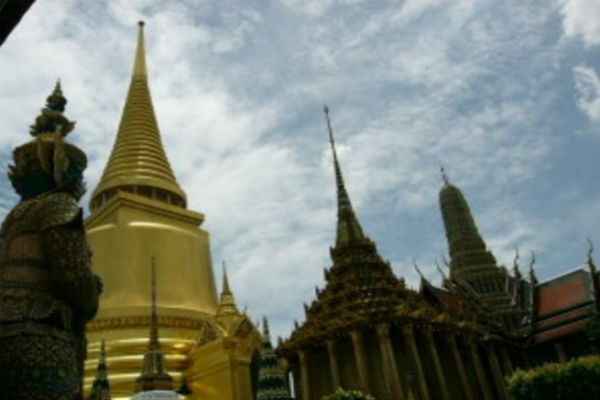 Bangkok is the economic and business center of Thailand. If you choose to open a business here, consider buying a hotel. This is the largest tourist center, gaining popularity every year. Never mind that every year features more tourist offices. This means only one thing, there is a lot of money to make in this area. If you want to open a business that will pay for itself very quickly, another fantastic option is opening a travel agency that helps people plan excursions, diving courses and massages. Also pay attention to those other areas that accompany tourism, like airport transfers, translation services, taxi referrals and restaurants. To open a business, you have two options: registration the company from scratch, or buy finished restaurants, cafes, and hotels. However, it is important to remember that according to local law, a foreign national is not entitled to register a business alone. Half of any business must be owned by a local Thai resident, though you may in fact handle all of the operations yourself in actuality. Many resort to strategies like marring a local resident to register a business. Regardless, Thailand has a favorable climate for investment. I offer translation services in Bangkok and elsewhere in Thailand, along with negotiations, transactions and business presentations with Thai manufacturers and suppliers, business support individuals and groups of people visiting exhibitions and enterprises excursions.